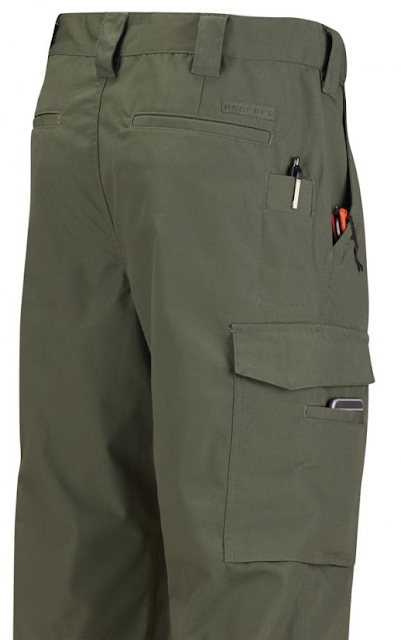 Meticulously constructed of a 65/35 poly-cotton blend, the Propper men’s and women’s RevTac Pants feature a unique combination of streamlined looks and the highly efficient functionality that is indicative of reliable tactical pants. Slimmer pockets with rounded edges give the pants a low profile and a less-tactical look and feel, all while offering ample storage space for magazines, flashlights, and all other essential gear at the same time. Your comfort won’t be compromised while wearing them because of their slider waistbands and gusseted crotches. Maintain a professional appearance with a hidden gripper strip that ensures your shirt stays tucked in at all times. Each is equipped with ambidextrous pockets that are designed with internal dividers in each, which are excellent for quickly locating your stored items. Additionally, each is fashioned with an eyelet snap and is available in a number of colors: Black, Charcoal, Coyote, Khaki, LAPD Navy, and Olive. 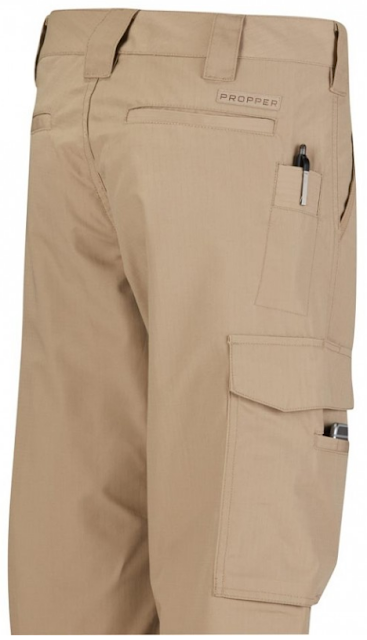 Individually, the Propper Men’s RevTac Pants’ classic fit is complimented by a Silicon-gripper waistband. Enjoy the pants’ French-fly construction that features a YKK brass zipper. Imbued with a fashionable combination of contemporary looks blended with tactical readiness, the Propper Women’s RevTac Pants’ modern fit is coupled with a contoured waist. Don’t compromise quality or comfort; for more information and to get yours, be sure to visit GideonTactical.com. Content and writings on this blog are sole property of GideonTactical.com unless otherwise noted.. Simple theme. Powered by Blogger.